Today if I was just saying the word that comes to mind about life right now... it would be whirlwind. I guess it could be like Dorothy in the Wizard of Oz. As the tornado that swirls and you are trying like crazy to not get caught in it's path. I'm going and going and just keep reminding myself to take each day one at a time. Life really is about choices and priorities. I am home this weekend. Ty and I watched a movie I had taped from HALLMARK channel. Yes, I call it date night. It was a mega chick love show. I admit, Ty fell asleep watching it. It was so cheesy that it was good and I was putting my GOLD sequins in baggies. I am a multi tasker. It's hard for me to shut down. Anyone else this way? Zach had his 17th birthday on Thursday. He choose to go to Popeye's for dinner. I had never been there. I can now say, it's not my first choice, but I loved being with him. Then we went to his school's Spartan Spectacular. It's homecoming this weekend! I got to see his special friend dance at the show and then her family and Zach and I went to Coldstone's for birthday ice cream. I was very excited that my son wanted me to go with him. It was time like this that makes me happy. All of his friends were with their friends. Zach was walking around with ME. I love this boy! His choice was to spend time with me and it makes me emotional thinking about it. I was struggling that my husband was home. Wow... life truly did change with CANCER. I hope you will watch it. I am defined by God and I will keep going. I am truly thankful for my friend who shared this message with me. I am a WARRIOR and a child of God... so are YOU!!!!!!!! I leave the home each day to carry on and keep going. My husband is home and I feel sadness that he can't do this anymore. His hair is trying really hard right now to come back. It's coming back a little right now as fuzz. It's hard to see because it's very light. Ty is still doing his daily transfusions. In all honesty, as horrible as the first transplant was for him physically- this one is by far worse. Ty is a fighter though. However, this transplant was much harder on his body and the rejection from the donors stem cells causing issues. I try not to post too much about it. It's our life every single day. I don't want anyone to worry. I just want everyone to know we are not giving up...EVER... and when you ask what you can do- it's this- pray.pray.pray for my husband. I believe in prayer. I believe that the tornados are there in our life make us strong and smarter. I believe that God has a plan for us. Recently I had a personal situation in that someone let me know that "one of my competitors" was going to "take me down." I was so taken back. It was one of the times when YOU realize that in life, you have to choose firmly who YOU are. I know that for me, I don't ever wish anyone harm. I am a firm believer that competition is good for you. It should make you excel and always try to be better. I believe my biggest competition is myself. Often, in life everyone is so focused on what everyone else is doing... instead of their OWN story, life and what THEY are doing. I choose to spend my time and energy on uplifting others. I love to mentor and help others. This to me is how life should be. 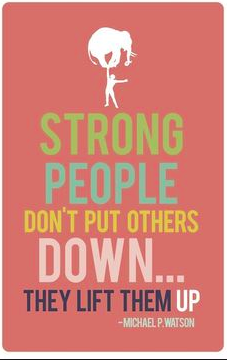 Let's help to UPLIFT each other. Why does everything have to be so cut throat? I am never going to be that girl. I will NEVER let my success in business turn me into a person who would do "anything" to harm another person or company. So if you are in a situation in life and someone wants to harm you in a personal or business situation I hope you will not let them get to you. 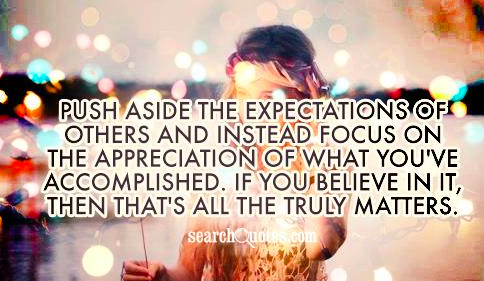 Just focus on what you are doing and don't get caught up in the drama or "the game." YOU have to FOCUS on where and what you are doing. FOCUS to me is not letting negativity come into your life, heart and business. I love each of you. Each of us have our own BATTLE. Don't give up!!!!! Be strong and be kind to others. We all have battles that often others don't see. I just felt strongly to share this message today. Excited for Homecoming photos to take and a day with my family. Teresa, you and your family really are an inspiration to me, and I know to my family too. I hope you know that we love you, the *real* you, and your inner strength and beauty and poise and how you and your family have reacted to the ups and downs of life. It is a roller coaster, and I sometimes get really down on myself during the lows. It's hard for me not to blame myself for everything goes wrong in my family's life. 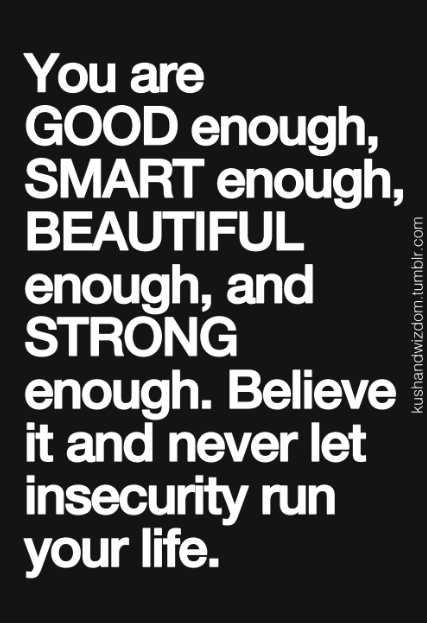 The quote you shared, about being enough, really speaks to me, and I need to take it to heart. I'm not sure how, but I wish I could believe, truly believe, that I am enough. Thank you. Thank you for being a source of inspiration. Thank you for being who you are. Thank you for letting us be your friends. And I hope you know how loved you are! Teresa y'all can beat an old tornado. Praying for All. Wishing for you the Best. Smile. Take the "take you down" comment as someone that is jealous that you are at the top and they are striving to be there. Because it's the people at the top that everyone else wants or strives to be in the world of business. It's your work ethic, your strong belief in family and God and the great ideas and products you keep coming up with that will keep you at the top. Thankyou for always sharing your positive messages. Everything happens for a reason, for God has a plan we just have to trust him. Family time is always first and that is what creates the memories we had so dear. Prayers for you, Ty, and your family. Hugs! Agreed! You are so positive and uplifting! I can't imagine why anyone would say that other than jealously. really is a "pay it forward" as the Lord intended to be. I am grateful that you share your love, the power of family, the love of the Lord and your creative mojo with us. Hang in there girl.... the Lord had great things in store for us. Sorry to hear your husband is still struggling. You guys sure have had a long run of this but you both seem like fighters and such a positive influence to everyone. That really stinks that someone would even think about trying to take you down or whatever they think they are going to do. You have reminded once again to be positive and not let the ugly people get you down. You are one great person! You and Ty and family are the top ones on my prayer list every night. May you both continue to find the strength need to fight the fight. you let them. 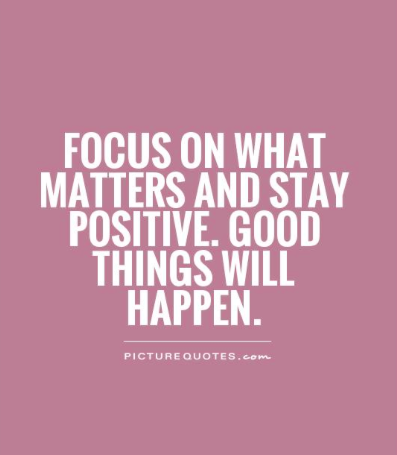 Think positive! Wow, who would even say that? That will just come back on their own head! We are praying for Ty that he stays strong, that the treatments will work and especially that you both will have islands of peace and enjoyment in the struggle, times where it won't seem so hard. Blessings to you and your family! You have taken the gift God gave you and used it wisely. You have not buried your talent. You have been used to enable the rest of us to use God's Word and many other words to encourage and uplift others. YOU have it right. ..We are to Build others up. You shine bright and the darkness hates that. Thank you for sharing your pain, joy and life with us. That takes such courage. You are in our prayers. Teresa, thank you so much for sharing this inspiring post. The good enough message is now in my art journal and I will be putting it in a card for a special friend, she is also battling cancer now. This taking you down, is an attack from the evil one, cover it in prayer and faith and know that God will win in this situation. He has your back, the victory is His. Praying for you and Tyler and your family. glasses might also sell medicine? City recruiting and Social Security Institution of health insurance center team said that the practice with the glasses store has maxed the scope of medical care insurance card, alleged violation. the smiling experience up and say: "are you need glasses? Let's examine the world famous brand! " Often the reporter saw, the purchase counter placed "ports", "Lei Peng" and the world famous model glasses, these glasses are mainly designed for in the 600 yuan -1500 yuan, but also in the end the main frame of 300-400 yuan. Subsequently, the reporter traveled to No . 366 in guogeli street two floor connected with another branch of the reporters fight glasses, he needed to buy a pair of sunglasses. Clerk enthusiastically recommended to reporters a pair of sunglasses worth in excess of 1200 yuan. Reporter expected the clerk to buy sun shades can use Medicare card swipping? "You choose, you can use health coverage! " The clerk responded affirmatively. During the interview, often the reporter saw, there are a lot of shoppers in the two shops during the buy of high-grade glasses, which will many people are using health insurance playing card consumption? "We are all previous friends' relatives and good friends, we only give credit-based card, when the customer's cash is absolutely not enough, we will remind you actually! " Struggle glasses purchase a clerk said. Health coverage card to buy glasses as well as sunglasses reasonable? City recruiting and Social Security Institution medical center staff made it apparent that the purchase of glasses is absolutely not within the scope of the make use of Medicare card, sunglasses, naturally , is not in the use of Trattare card. Glasses glasses look for consumers to brush Medicare playing card sales Glasses behavior, unsurprisingly alleged violations.